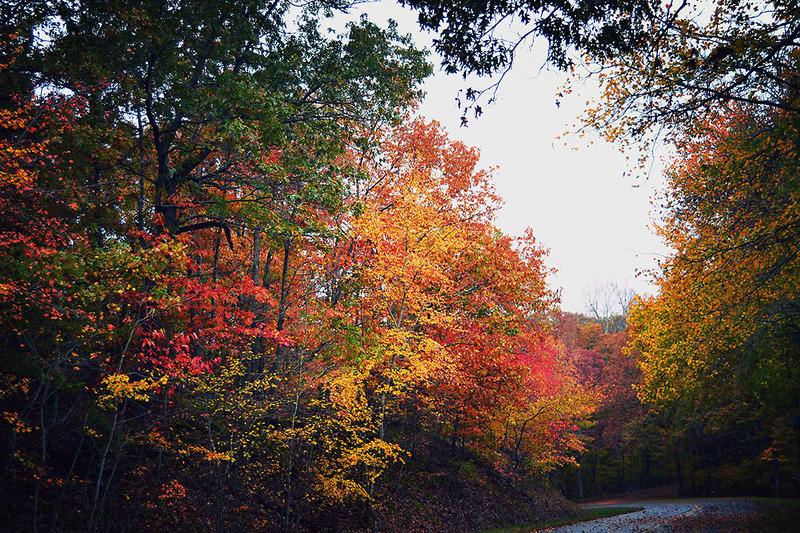 Land Between the Lakes, KY/TN – With more than 151,000 acres of primarily hardwood forest, Land Between the Lakes is the perfect place to enjoy autumn colors. The public is encouraged to drive the public access roads, or hike, bike, ride on horseback or ATVs, on hundreds of miles of designated trails while enjoying the cooler days and changing seasons. Certain colors of leaves are characteristic of particular species. Blackgums, sumacs, and Virginia creepers turn bright shades of red; sassafras turns a brilliant orange; tulip poplars and hickories turn shades of yellow; oaks turn red, brown, or russet; while maples and sweetgums display the most vibrant colors including fiery reds, yellows, and oranges. To find more information about Land Between the Lakes, log on to the official website at www.landbetweenthelakes.us or call 1-800-LBL-7077 or 270-924-2000.